Wildfire, by SASHA BEZZUBOV is the first public exhibition of photographs from the artist's recent book by the same name, published by Nazraeli Press. In the Wildfire series Sasha Bezzubov focuses on the devastation wrought by wildfires on the American west, with dramatic large-scale landscapes containing charred, burned-out forests, houses and neighborhoods. In one image a spiral staircase rises skyward out of the wreckage, the last remnant of a once standing home. Other photographs in this series focus on the damage inflicted on nature, the pine forests, and whole mountainsides reduced to ashes. These heartwrenchly beautiful landscapes draw us in and confront us with the uncomfortable notion that we might be somehow to blame. In the introduction to the book Wildfire, writer Bill McKibben explains these distressing statistics: in the last 35 years the number of fires increased by a factor of four; the average fire went from lasting a week to lasting five; the total area burned increased by six and a half times; the average fire season increased by 78 days, or 64 percent. Bill McKibben then goes on to express that these fires are an indicator of global climate change, caused in part by the earlier thaws of snow in the mountains and longer dry seasons. Within these series of photographs, the larger scope of our involvement with the natural world and our ability to protect and preserve against some of the more devastating effects of natural disasters is brought to question...are we to blame, and can we prevent the onslaught of wildfires, are just a few of the questions that arise from Sasha Bezzubov's most recent series. This is Sasha Bezzubov's third exhibition at the Front Room Gallery, and a continuation of his ongoing series Things Fall Apart, landscape photographs of the aftermath of natural disasters. This series, which began in 2001, contains photographs of forest fires, earthquakes, tidal waves, and tornados, around the world. 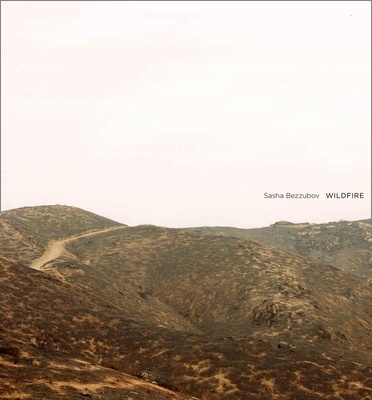 Wildfire, Bezzubov's most recent presentation from this larger series, targets an intimate look at the catastrophic impact of these uncontrollable fires on many varied landscapes, from urban to wilderness.